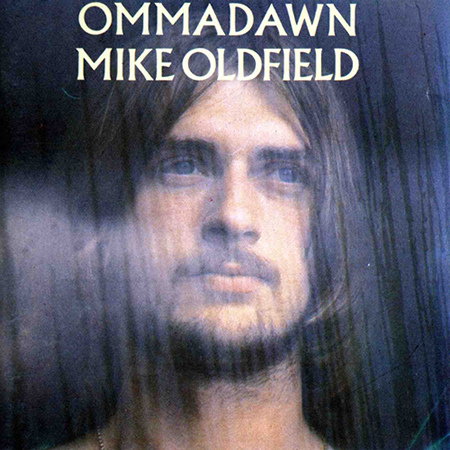 So I’ve been really getting into Mike Oldfield lately. This album is his second follow up to the wildly successful Tubular Bells, but has a slightly more “world” sound. Since each of the two tracks is almost 20 minutes long, I pulled a 2:00 excerpt. Editors+Ronson.. Harmonia – Immer .. Pale Blue a.k.a Mike Si..
Man, you pulled the cheesiest passage off of that album. Seriously, his first four records (Tubular Bells, Heargest Ridge, Ommadawn, and the incredible Incantations) are some of the most creative releases to have reached the top 10 in any country. Too bad Tycho doesn’t have a 1972 release. It would’ve been massive. Not that sales matter. Aww c’mon – cheesiest? It’s one of my favorite parts on the whole album =P. The following movement is phenomenal, but a little too long, and not easily cut. Ommadawn is the phonetic spelling of the Irish word “amadán”, meaning fool or idiot. At least it wasn’t Tubular Bells 2 I guess. Actually “Hergest ridge” was the follow up to “Tubular Bells”. I also think this is one of the best parts of the fabulous album. @Blogmonster: Where’s my head? Corrected. I thought that sounded a lot like cuts from the group Fairport Convention – minus the sweet breakbeats. Well – Ommadawn is the somehow birth of serious world music. I think it is as instrumental one of the greatest pieces in modern music and stands in a line with Peter Gabriel and the better Pink Floyds. This was one of my favorite albums listening to it as a 8 year old hippie kid back in the 70’s. I like the two minutes track you included. Takes me back.